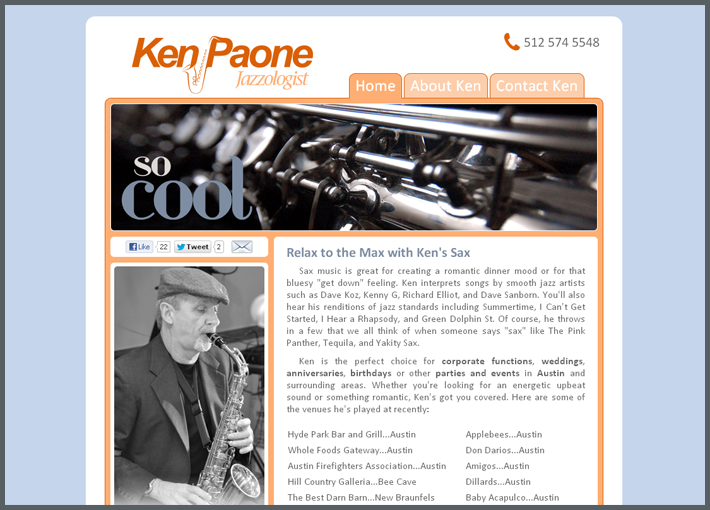 Ken wanted a simple website to promote himself as a local jazz saxophone and flute player. He wanted people to be able to hear his music, read about the service he provides, and have a way of contacting him with questions or booking requests. The solution was this simple website with an embeded and fully functional music player, plenty of images and information, and a clean and easy to use contact form. 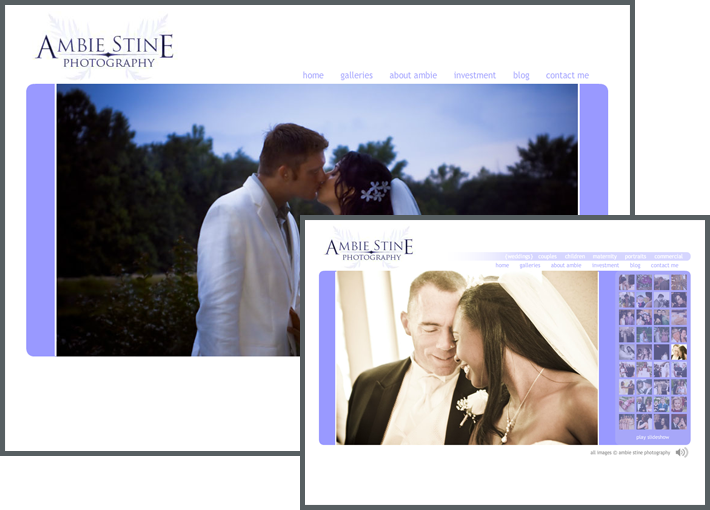 As a local wedding and event photographer, Ambie wanted her website to showcase her work and give potential clients a way to contact her for information and booking. Building a website that allowed visitors to easily view her portfolio was important, so I designed a simple and elegant slideshow with an intuitive interface so visitors could focus on the content without distraction. The concept behind this website was to create a site for the client that would inform visitors of a service they most likely had never heard of and allow them to request a service quote. 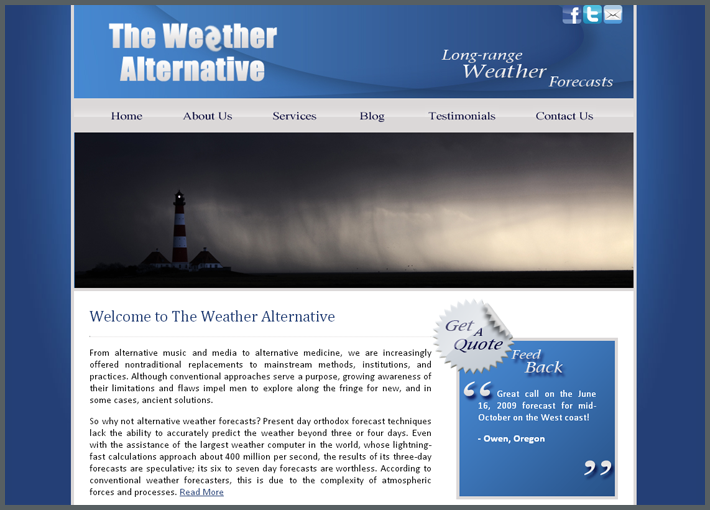 The Weather Alternative wanted a site that would serve both to inform and generate interest in their service. The layout is simple and easy to navigate and information is readily available. Together, The Weather Alternaive and I designed a search engine optimization strategy that focused on capturing their target market. 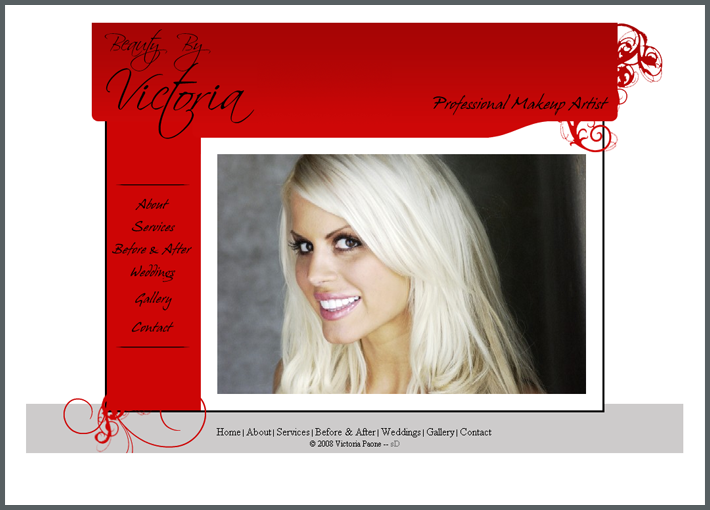 Victoria, a local makeup artist, wanted to create a website to show off her work and expand her existing client base. With this in mind, I designed a simple website featuring several photo galleries that displayed the quality of work she performs, a simple and elegant menu of services, and a contact page.